There is nothing that makes me happier than to have all of my children, their spouses, and my grandchildren together with me and my husband. It feels so right when the puzzle is complete. My son and daughter-in-law were just in town and all of the family gathered at our home and for a large extended family dinner at my sister and brother-in-law’s. Not only do we all get along, we enjoy each other’s company. We are friends with common goals, interests, and values yet different enough to inspire and spark new ideas and creativity. And now the littlest members of the family are drawing the greatest attention. My sweet grandsons certainly are the stars of the show as we all ooo and ahhhh over everything they do. Who isn’t delighted at the wonderment of a child or laugh when a baby laughs? My kids often ask what I want for a birthday or Christmas gift. My response is always the same. What I want most is time with them. Until my daughters had their own children, they thought I just didn’t want them to spend their money. Now they understand that a mother needs time with her children. No matter how old they are, our babies are our babies. What’s more, I like them. 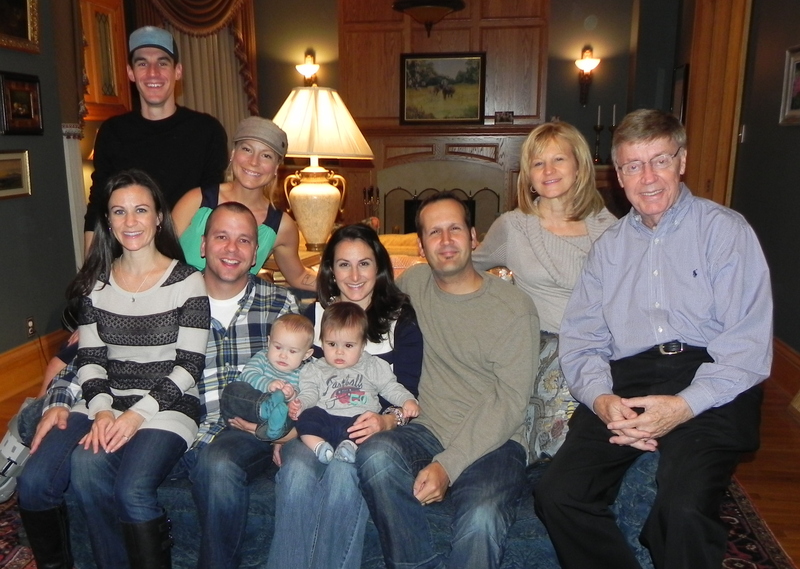 I am so blessed to have children and children-in-law who I admire and respect as well as love to pieces.